Amidst much waving of flags and shaking of consumer group fists, on January 13th all UK companies will stop charging fees to process credit and debit cards. This is being sold as A Good Thing, removing an extra transaction charge from all kinds of purchases from holidays to cars to grocery shopping. And, in some ways, it is A Good Thing. The card processing fee has been seriously abused with many companies charging a flat fee to use a debit or credit card. 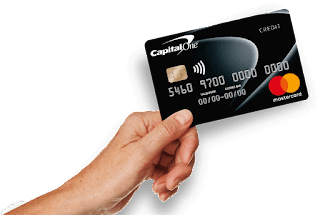 This is unfair because it doesn't reflect the actual cost of card processing - either because it inflates the cost or applies it across all cards, whether debit or credit. The trouble with the ban is that it ignores the nuances. In describing card fees as unfair, consumer groups overlook those companies - of which there are many - that only charge a fee to process more expensive payment methods, such as credit cards. Where a business incurs an extra cost for a customer to pay in a certain way, surely it is reasonable to highlight this and pass on that premium? The ban and the furore that caused it also ignores the reality - most customers understand the fee and, where they have the option and desire, use alternative means to pay. At Great Escape Cars we only charge for credit cards - so if a customer wanted to avoid the charge they can pay by debit card or bank transfer. This system worked fine - although perhaps the credit card companies were less happy (which may be the rub here). When the card processing ban began to loom, we faced a dilemma at Great Escape Cars. Removing the charge would, of course, reduce our profits, a fact we need to resolve. I think we have. Our solution is to increase our prices by 2%. If a customer then wants to pay by bank transfer or debit card we'll provide a 2% discount. That way the customers who cost us less receive that saving back. And the customers who use credit cards and are therefore less profitable, pay for the credit advantage they receive. Businesses need to be profitable to survive. A 2% increase in costs is impossible for most to absorb. And, after all, why should they? Similarly, why should customers who use cheap forms of payment be penalised for doing so? The counter argument is that card processing fees are a normal cost of doing business. Of course they are. Except, unlike staff or premises or stationary or marketing, they are costs that are specific to and vary from customer to customer. My argument is that if a certain customer makes a choice to use a payment method that is more expensive for me to manage, surely that cost should be passed on to that person alone? If the counter argument is carried through to its logical conclusion, the 2% charge would be absorbed into the price (as a price rise) and applied to everyone. Which I don't think is fair. Our new system incentives people to help us save costs - an advantage that we are happy to pass on. We think that's a win-win. Our new prices kick in on 18th January.